Do what the Swiss do; have another front door on the second floor. We might get snow this weekend, hardly ever happens here. 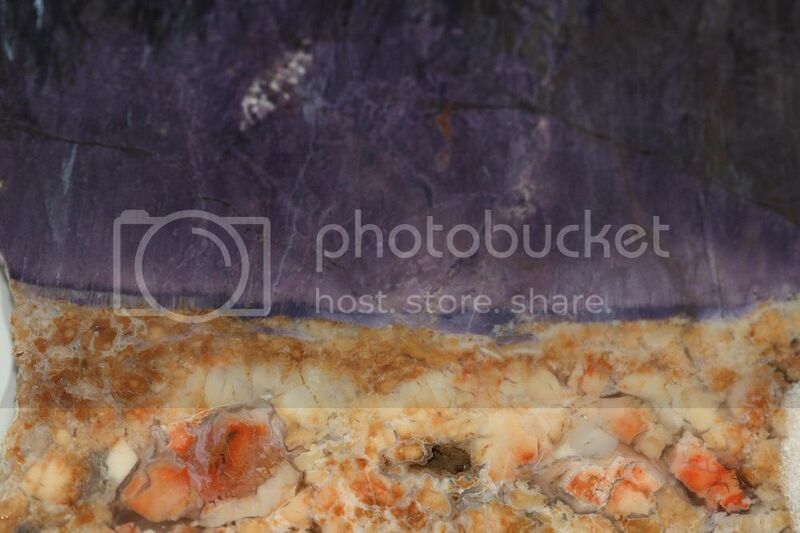 I'd love to see pics of the slabs with the crystal pockets! I would have to look around a while to find any slabs of bertrandite (Tiffany Stone) with crystal pockets, but here is a cab I finished up this week. It was sitting around preformed and caught my attention - so I finished it. Oh, now that is special! I don't think I've seen bertrandite with drusy before and it is stunning! That is a very fine piece. 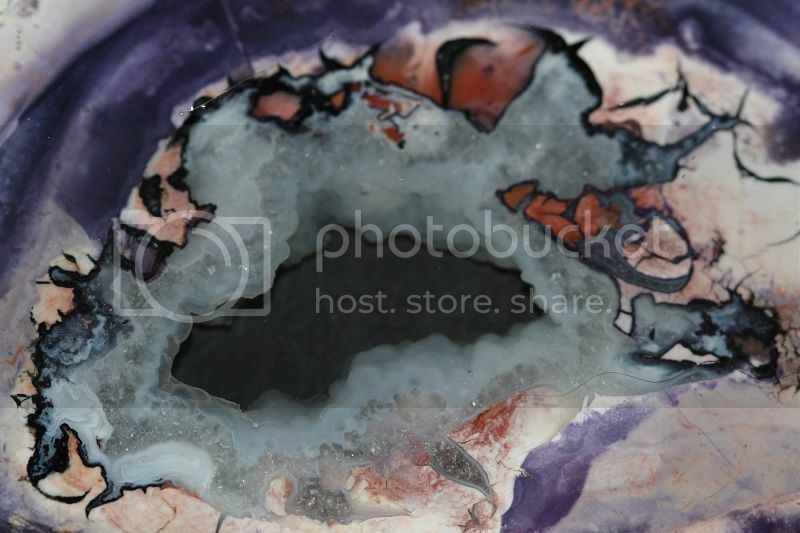 Beautiful crystal pocket and you nailed it with the shape of your cabochon. Those are some of the nicest TS cabs I've seen. 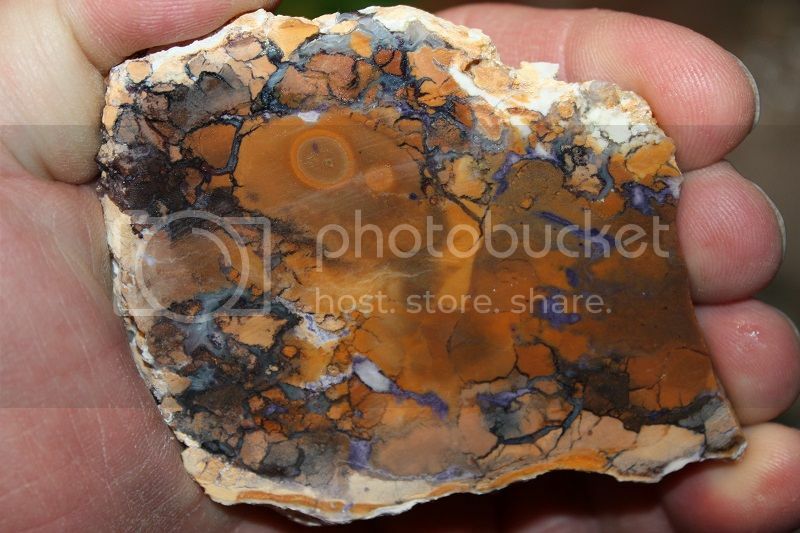 On the subject of Tiffany Stone, here is my favorite one, although it does not have any druzy. On the old forum, I posted quite a few pics of Tiffany Stone. 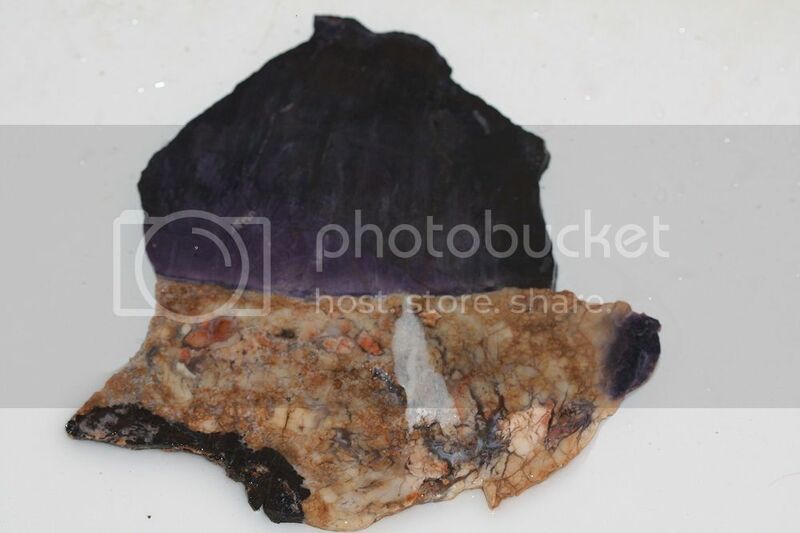 I had a wide variety of material and several of them had weird features like crystals. I also remember a piece that was split down the middle by a line, with totally different types of Tiffany on each side. There was a thread or two that were just about Tiffany. Search for that thread and you will see a lot of different types of stone. One member posted some incredible Tiffany from a show that was very expensive but oh so sweet. Another beautiful cab! Tiffany Stone is wonderful stuff if you get the good quality. The posted cabs are truly outstanding! Beautiful. I like some of the other Tiffany color variations too, like this one. It even has some tiny black dendrites. 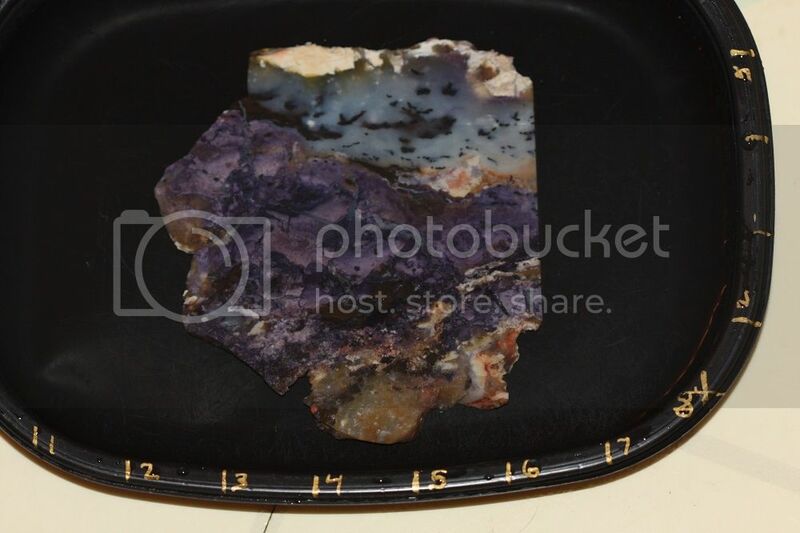 Here are some pictures of the crystal vug in one of my slabs. The slab is dry. Not quite as nice as some of the cabochons here but I really like the piece. I cut a lot of this material before it was called Tiffany Stone back in the early 1990s. A friend of mine was given permission to collect at the site and he brought home hundreds of pound of nodules, much of which I cabbed. 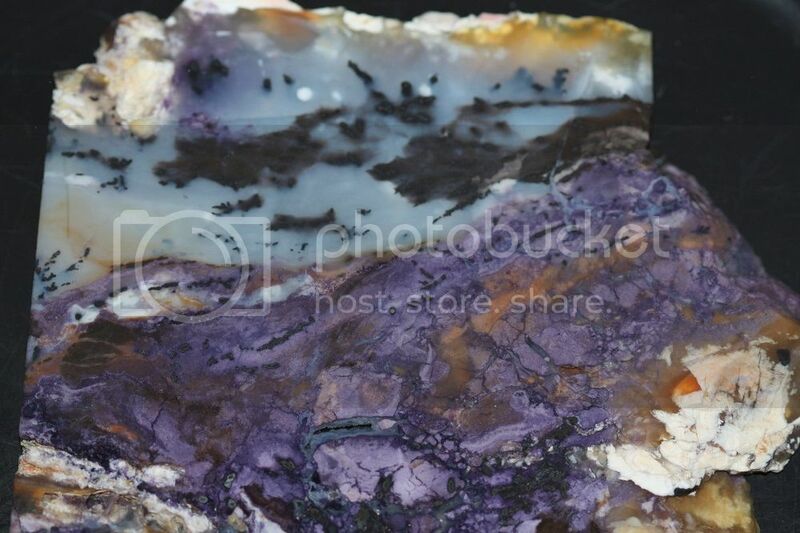 There can be fluorite cubes in some of the cavities. The are not common but I have seen a few to maybe 3-4 mm in size. Quartz lined druzy pockets were uncommon but were nice when you could cut them. Much of the black was softer than the rest of the colors. Orange was the rarest color, then bright yellow. Bright reds were uncommon. Great material when you can find good quality and the pieces shown are very nice. 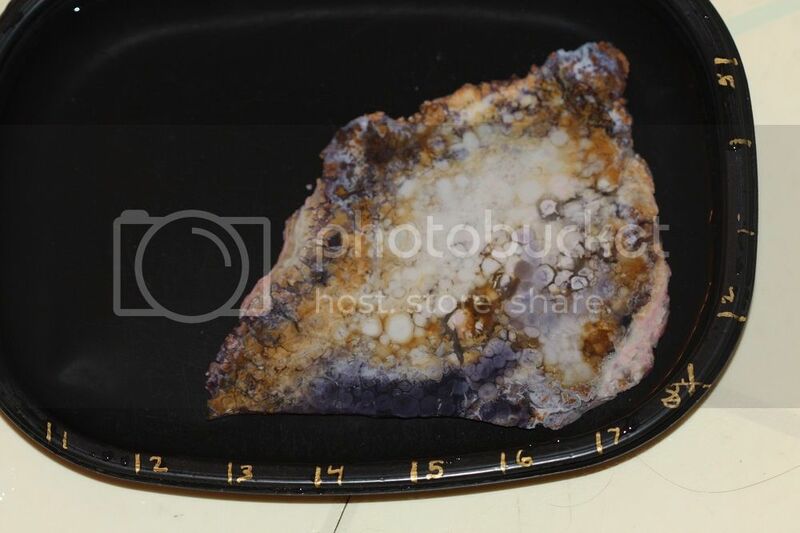 Nice druzy there fossil. Yellows, blues, and purples, nice color variety. I may have many of my pics on this notebook, i'll have to look around and will post them if i can find them. I have heard stories of back when they let people in to collect on weekends or nights. I remember that there was an incident or two where someone took out tons and tons at a time and the mines management was not happy and closed it down totally to collecting. Its really sad when a site closes down and there is still stone left. I found some of my pics on my notebook, so here are a couple. 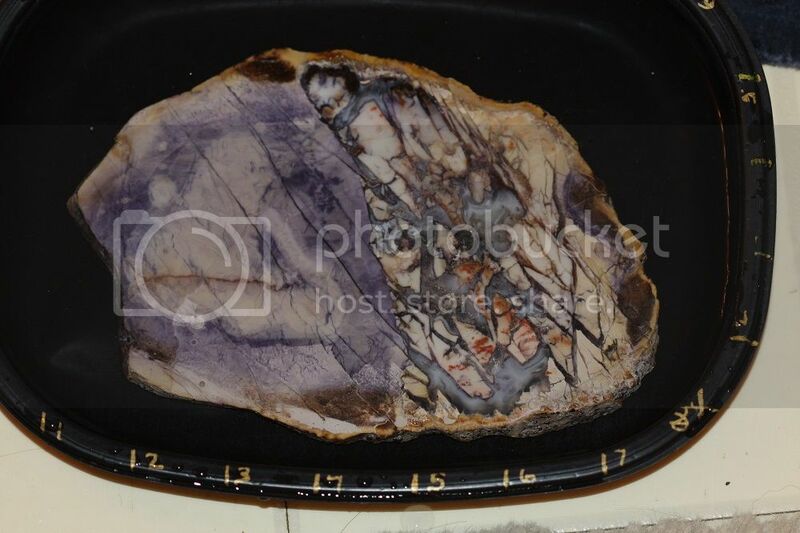 There are 2 slabs and 2 pics of each. The one piece is half deep purple Tiffany and half multicolored from tans to oranges with a bit of druzy. The is one really weird piece. There is a normal shot and a closeup where you can see the line that delineates the two types of stone. The other piece is also a half and half stone with a distinct line between the different halves. 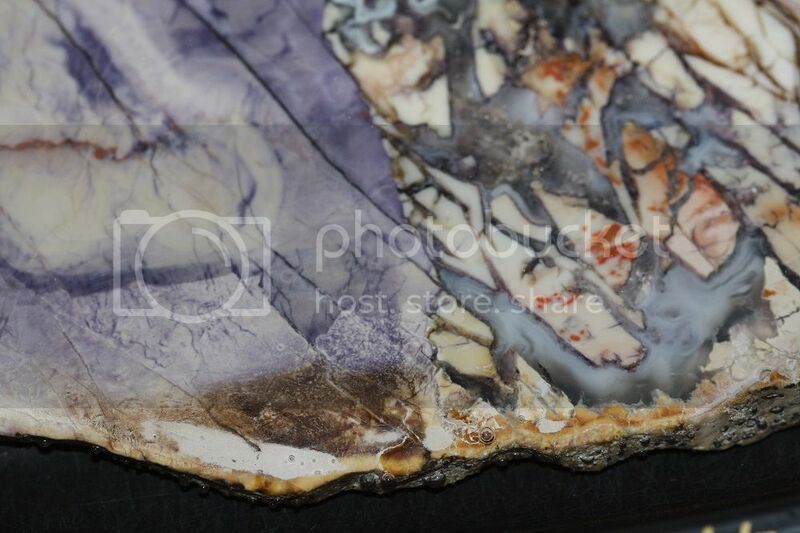 The one half is purples to grays with the other half cremes to white with some agate and druzy. I'll look and see what else i can find. Here's a few more. First a pastel piece with almost orb patterns in places. 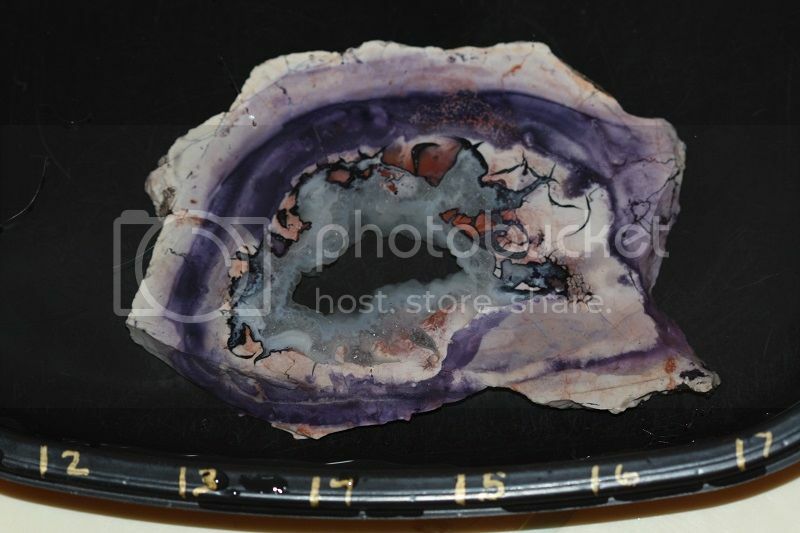 Then there is a piece that is half normal Tiffany and then half that is a bluish agate type stone. I have a full view and a close up. 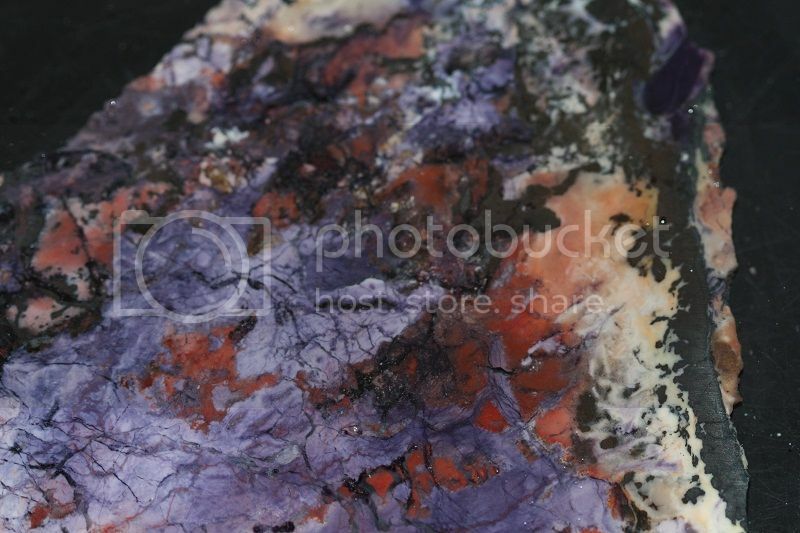 The last one is a very richly colored piece with colors from red, creme, purple, black, and white. A few more. First a really kool piece with a hole in the middle and quartz. Next a piece with some really bright colors. Page created in 0.099 seconds with 62 queries.